Mr. Johnny Edward Trotter, age 82, of Roxboro, North Carolina, passed away on Friday, July 13, 2018 at his home. 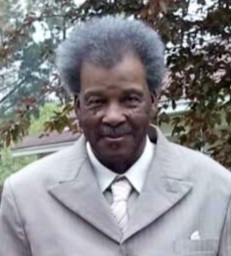 He was preceded in death by his wife Margaret Davis and daughter Alesia Trotter. Mr. Johnny Edward Trotter is survived by three daughters – Penelope Blackwell (husband Gilbert) of Roxboro, NC; Tanya Winbush (husband Keith) of Roxboro, NC; and Deborah Trotter of Roxboro, NC; three sons – Bruce Love of Florida; Timothy Trotter of Semora, NC and Gary Trotter of Roxboro, NC; and two brothers – Charlie Trotter of Burlington, NC and Roger Trotter of Milton, NC. He is also survived by 14 grandchildren, 9 great- grandchildren and a host of additional relatives and friends.